Only a fool would take /b/1 seriously... So what does that make me? I just got the mask from Amazon.com . I didn't get the mask because of the movie V for Vendetta. In fact, I had the mask ordered before I had even watched the movie. No, I have the mask for the same reason I have the flag: they have become a symbol of Anonymous and were used in the protests against Scientology. I don't thing there's a "church" of Scientology within a 700-mile radius of me, but it's the thought that counts. ...And I just wanted a wall decoration. 2011 Update: I am in no way associated with the activities of the hacktivist group Anonymous or LulzSec. 1: Don't even cite Rules 1 & 2, they're only for newfags and raids. Quite the handosme chap in that mask Marf. Hmmm The Masked Marf ... it has a certain ring to it. 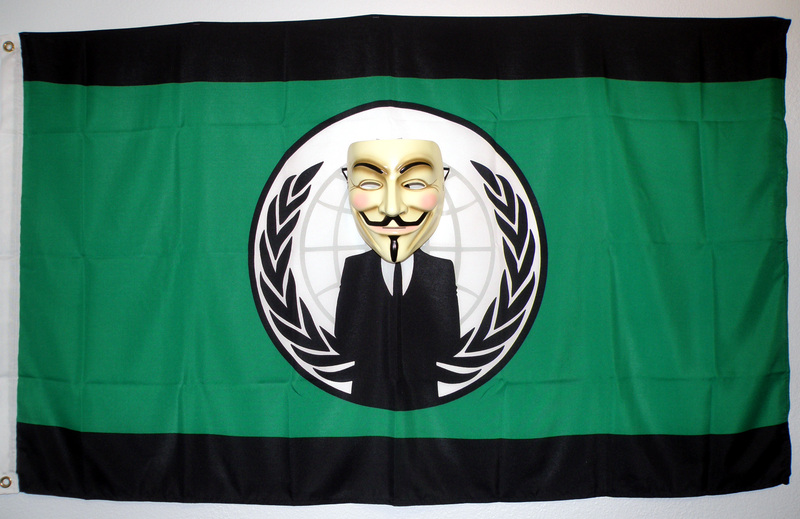 How can I join anonymous? 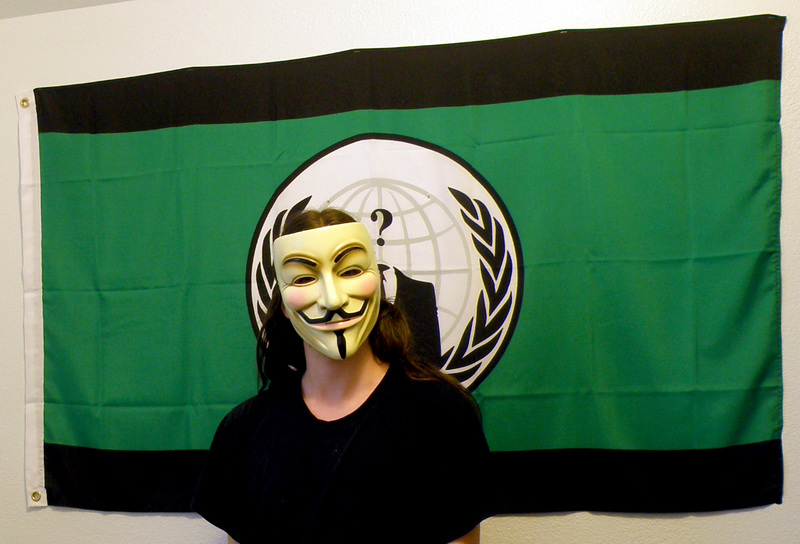 @ Vid: Anonymous isn't really something you join. You just sort of... Become. @ Anonymous (#3-4): Yeah, I brought that upon myself. There used to be one across from the Fire Dept downtown. That was over 12 years ago though. Haven't been in K-Town since 97. @ Amilu: I know the building you speak of. I think it's abandoned right now, but I thought it was a different type of church. I'll have to go check. @ Amilu: I did check that building. It's an Order of the Red Men (or something similar). No sign of Scientology. @ Rhenanen: I think it was only $5.00 or so on Amazon.com.